Hello my lovely readers! 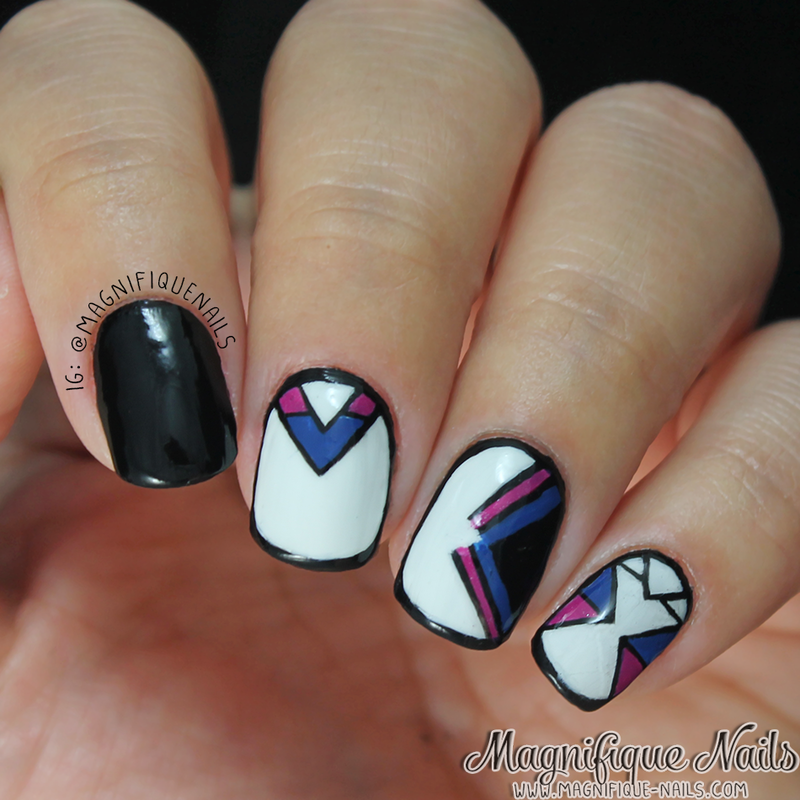 Today I have for you guys another wonderful Mani Swap with Laura from @lauramerino12 on instagram. 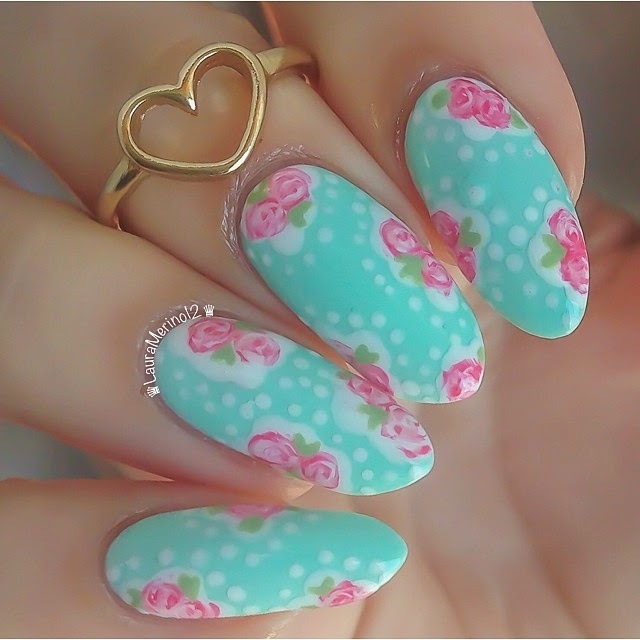 She has impeccable nails and nail art designs. They are always flawless, classy and all so girly. She is definitely one to follow, if your not already! For the swap, I choose this really cool pattern design she did, and she chose my shabby chic florals. It's completely different from what she does regularly and I for one loved it! She called it a freestyle nails, I couldn't agree more. It was a little difficult to recreate, since my nails are a lot shorter than hers. So I managed to get it done for my little nubs and I have to say I love it! 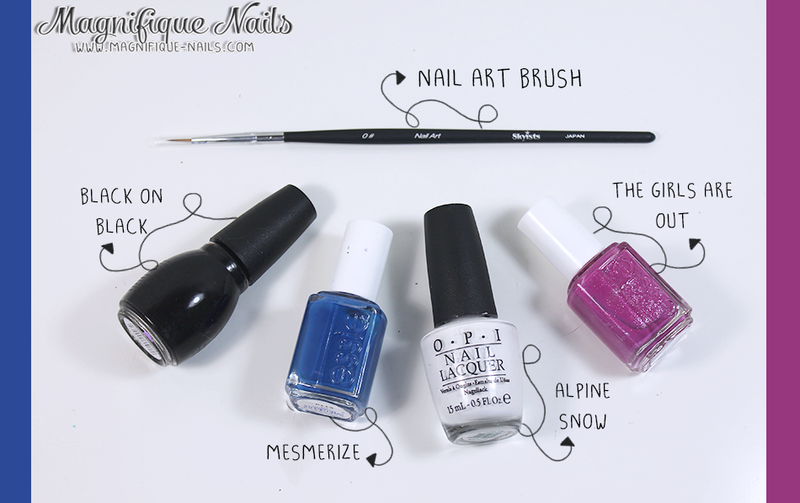 I began by applying two coats of OPI Alpine Snow. Expect for the forefinger, which I applied two coats of Sinful Colors Black on Black. Then I sealed it with top coat, since it was going to be left alone. 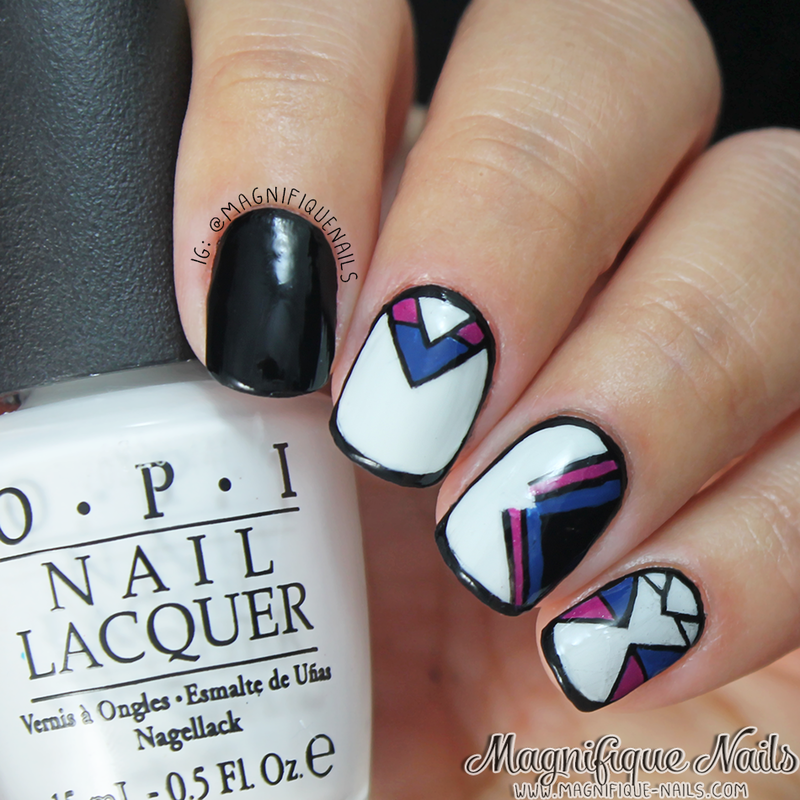 As the for the design, I began to outline the triangles with Sinful Colors Black on Black, using a nail art brush. Once I freehanded the outlines, I then outline out side of the nails. Once the polish was completely dry, I filled in the triangles with Essie Mesmerize and The Girls are Out, using a nail art brush. Lastly, I sealed the designs with Duri- Super Fast Dry Through Top Coat.